Another episode of my Monday Mountains. 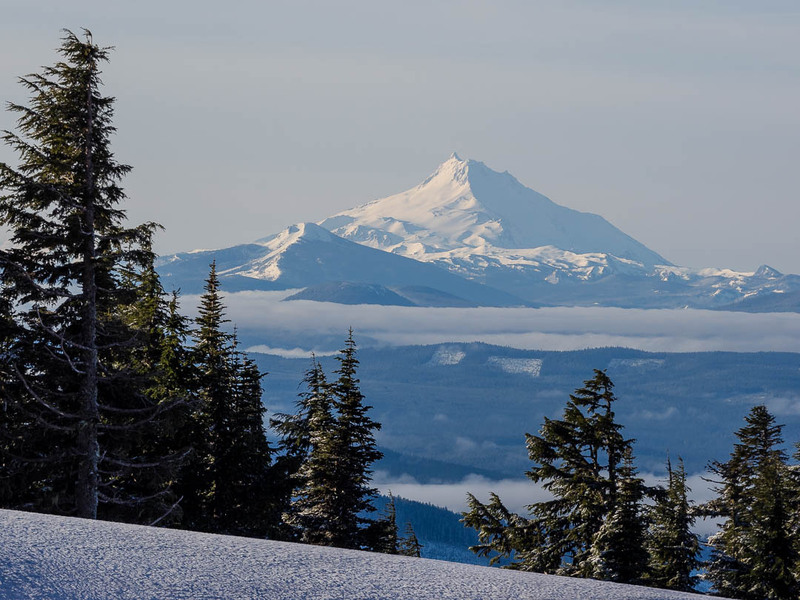 For this I stay in the Pacific Northwest and introduce you to another of the Cascade’s great stratovolcanoes, Mount Jefferson, neighbor to Mount Hood, the subject of the last edition of MM. 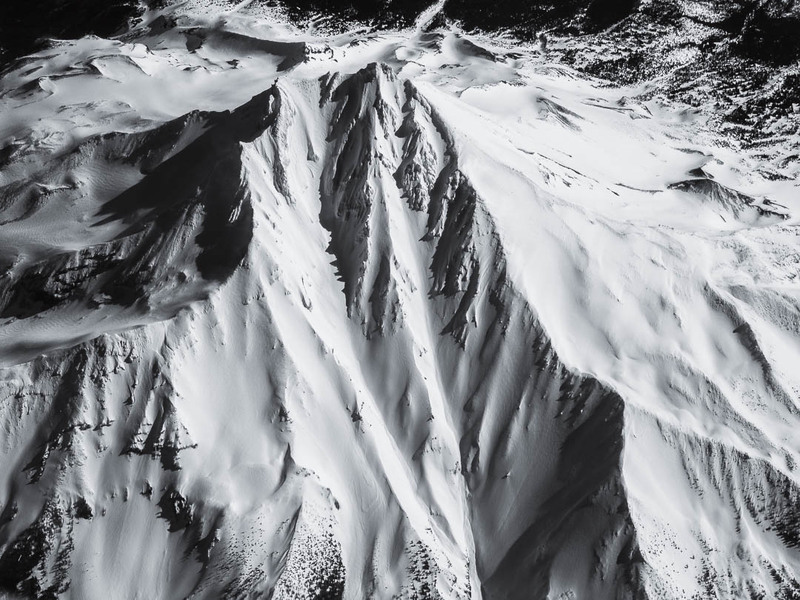 For some more information about this stratovolcano and more photographs of the mountain I took from inside an airplane passing over it, continue reading after the jump…. Mount Jefferson is a stratovolcano in the Cascade Range and with its summit reaching 10,497 ft (3,199 m) the second highest mountain in Oregon. With a very craggy appearance and 5 glaciers it is for sure a very photogenic mountain. 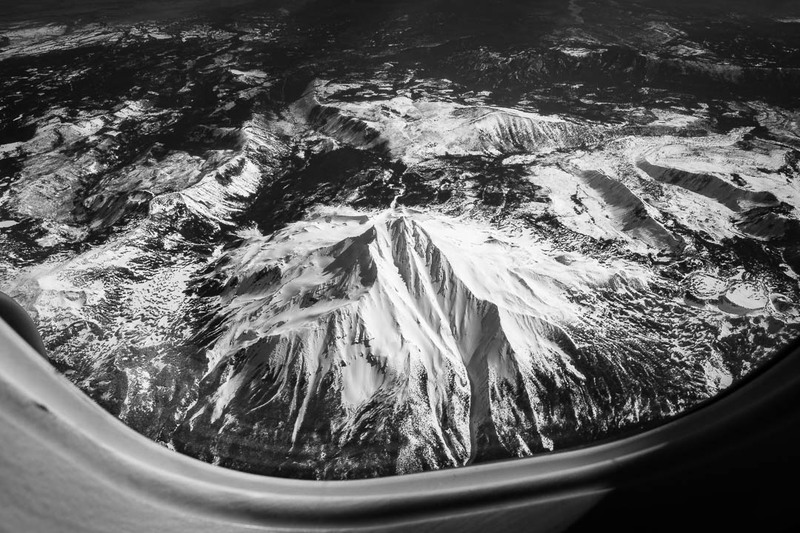 The introductory photo I took with a tele zoom from the slopes of neighboring Mount Hood (about 45 miles away), the other two photos from the window of an airplane while enroute from Portland to Los Angeles. Today it is considered to be dormant, the last eruption dating back to the last major glaciation about 15,000 years ago. Fabulous photographs! The first photo gives you a feeling of tranquility and doesn’t let you go. Thank you, so happy you like them! Superb photos as always Marcus. I need to return to The Cascades sometime and try to take some better photos. M.
What an elegant mountain – mountains can be elegant? No clothing designer here. The two images from the airplane give you a perspective that most of us will never see. Marcus thank you for sharing them. How cool is this!!! Wow! Thank you so much, Stephanie ! Much appreciated!